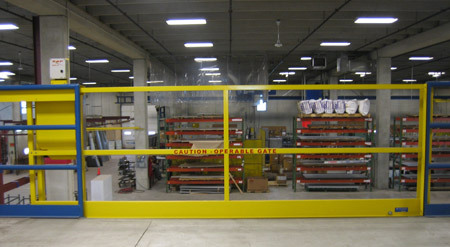 Pallet Gates - these spring loaded gates push open and quickly allow pallets to be loaded onto a mezzanine. 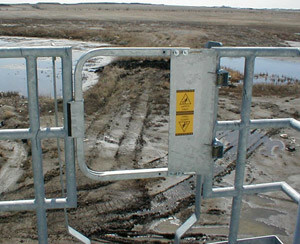 Horizontal Mezzanine Gates - these gates slide open to the side. These are best used when a large amount of overhead clearance is required. 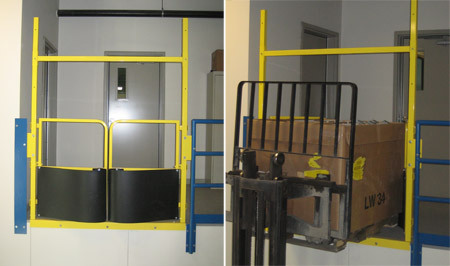 Horizontal mezzanine gates can be opened manually or through an electric automation system. 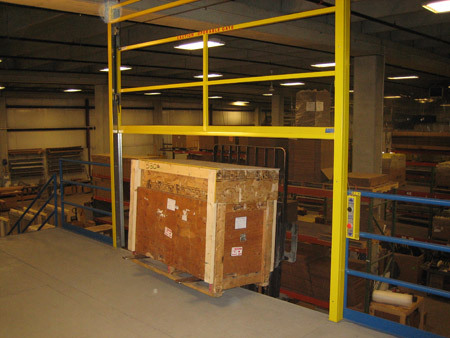 Vertical Mezzanine Gates - Vertical gates open up and down to allow materials to be loaded on and off the mezzanine. Get complete details on the Mezzanine and Platform Gate page.